"Can't Order Come from Disorder Due to the Sun?" “[N]atural selection can ‘select’ only what random mutations first produce. And for the evolutionary process to produce new forms of life, random mutations must first have produced new genetic information for building novel proteins” (2009, Ch. 9). And again, that simply does not happen. [M]utations of the kind that macroevolution doesn’t need (namely, viable genetic mutations in DNA expressed late in development) do occur, but those that it does need (namely, beneficial body plan mutations expressed early in development) apparently don’t occur. According to Darwin (1859, p. 108) natural selection cannot act until favorable variations arise in a population. Yet there is no evidence from developmental genetics that the kind of variations required by neo-Darwinism—namely, favorable body plan mutations—ever occur.... [M]utations in DNA alone cannot account for the morphological changes required to build a new body plan (Meyer, 2004, emp. added). Mutation simply “does not constitute an adequate causal explanation of the origination of biological form in the higher taxonomic groups” (Meyer, 2004). Neo-Darwinism seeks to explain the origin of new information, form, and structure as a result of selection acting on randomly arising variation at a very low level within the biological hierarchy, namely, within the genetic text. Yet major morphological innovations depend on a specificity of arrangement at a much higher level of the organizational hierarchy, a level that DNA alone does not determine. Yet if DNA is not wholly responsible for body plan morphogenesis, then DNA sequences can mutate indefinitely, without regard to realistic probabilistic limits, and still not produce a new body plan. Thus, the mechanism of natural selection acting on random mutations in DNA cannot in principle generate novel body plans (2004, italics in orig., emp. added). [E]ven when ignoring deleterious mutations, mutation/selection cannot create a single gene within the human evolutionary timescale. When deleterious mutations are factored back in, we see that mutation/selection cannot create a single gene, ever. This is overwhelming evidence against the Primary Axiom.In my opinion this constitutes what is essentially a formal proof that the Primary Axiom is false (2008, p. 139, emp. and italics in orig.). Michael Behe, biochemist and Professor of Biological Sciences at Lehigh University, points out that some microorganisms have been shown to be able to rapidly adapt to new environments. However, in doing so, those organisms never develop new internal functions. According to Behe, their adaptations amount, not to innovation, but merely fine-tuning (2007). Very regrettably, evolutionists have treated two very different phenomenon, adaptation to environments and evolution of higher life forms, as if they were the same thing. We do not need to be geniuses to see that these are different issues. Adaptation can routinely be accomplished by loss of information or even developmental degeneration (loss of organs). However, development of higher life forms (representing more specified complexity) always requires a large increase in information (p. 202, italics in orig.). And Darwinian evolution cannot provide it. East German scientist J. Peil wrote, “Information is neither a physical nor a chemical principle like energy and matter, even though the latter are required as carriers” (as quoted in Gitt, 2007, Ch. 3). The late American mathematician Norbert Wiener, previously professor of mathematics at M.I.T., graduate of Harvard University, and considered to be the originator of the field of cybernetics, long ago said, “Information is information, not matter or energy. No materialism which does not admit this can survive at the present day” (1965, p. 132). What does that truth imply about information? In the words of Gitt, in what he calls “Theorem 1,” “[t]he fundamental quantity information is a non-material (mental) entity. It is not a property of matter, so that purely material processes are fundamentally precluded as sources of information” (Ch. 3, emp. added). He further explains, “Information is always based on the will of a sender who issues the information…. Information only arises through an intentional, volitional act” (Ch. 3). “[I]t is clear that the information present in living organisms requires an intelligent source…. Any model for the origin of life (and of information) based solely on physical and/or chemical processes, is inherently false” (Ch. 4, parenthetical item in orig.). Gitt proposes Theorem 29 as a summary of that truth: “Every piece of creative information represents some mental effort and can be traced to a personal idea-giver who exercised his own free will, and who is endowed with an intelligent mind” (Ch. 8). In other words, “[n]ew information can only originate in a creative thought process” (Ch. 8). [M]inds can produce biologically relevant structures and forms of information, but without mind or intelligence little, if any, information arises…. [I]ntelligent agents can produce information. And since all evolutionary algorithms require preexisting sources of information provided by designing minds, they show the power—if not the necessity—of intelligent design…. [R]ibozyme-engineering experiments demonstrate the power—if not, again, the need for—intelligence to produce information—in this case, the information necessary to enhance the function of RNA enzymes…. Undirected materialistic causes have not demonstrated the capacity to generate significant amounts of specified information. At the same time, conscious intelligence has repeatedly shown itself capable of producing such information. It follows that mind—conscious, rational, intelligent agency—what philosophers call “agent causation,” now stands as the only cause known to be capable of generating large amounts of specified information starting from a nonliving state (2009, Ch. 15). Radiologist Henry Quastler, who pioneered the use of isotopes to study cell kinetics and “was one of the first to apply Information Theory to biology” (Ducoff, 2007), long ago stated, “[C]reation of information is habitually associated with conscious activity” (Quastler, 1964, p. 16). If this be the case—if all the evidence points to an intelligent Designer for the origin of information—why reject the evidence? “Whatever information is—whether thought or an elaborate arrangement of matter—one thing seems clear. What humans recognize as information certainly originates from thought—from conscious or intelligent activity” (Meyer, 2009, Ch. 1, italics in orig.). scientists investigating the origin of life must now explain the origin of at least three key features of life. First, they must explain the origin of the system for storing and encoding digital information in the cell, DNA’s capacity to store digitally encoded information. Second, they must explain the origin of the large amount of specified complexity or functionally specified information in DNA. Third, they must explain the origin of the integrated complexity—the functional interdependence of parts—of the cell’s information-processing system (2009, Ch. 5). I believe the “going down” aspect of the genome is subject to concrete analysis. Such analysis persuasively argues that net information must be declining. If this is true [and the primary focus of his book illustrates that it is—JM], then even if it could be shown that there were specific cases where new information might be synthesized via mutation/selection, it would still be meaningless since such new information would promptly then begin to degenerate again. The net direction would still be down, and complex genomes could never have arisen spontaneously. 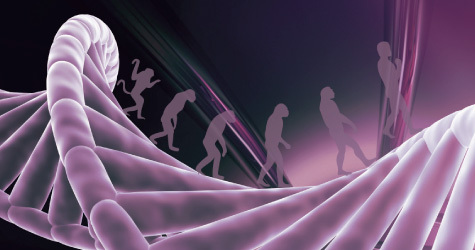 If the genome is actually degenerating, it is…bad news for evolutionary theory. If mutation/selection cannot preserve the information already within the genome, it is difficult to imagine how it could have created all that information in the first place! We cannot rationally speak of genome-building when there is a net loss of information every generation! Halting degeneration is just a small prerequisite step before the much more difficult question of information-building can reasonably be opened for discussion (pp. 105-106, italics in orig.). even if scientists eventually observe the origin of a new species by natural selection, the observation would not mean that natural selection can also explain the origin of significantly new organs or body plans. But the fact that scientists have not observed even the first step in macroevolution means that “evolution’s smoking gun” is still missing. Despite the lack of direct evidence for speciation [i.e., the origin of new species—JM] by natural selection, Darwin’s followers still assume that he was essentially correct and regard changes within existing species as evidence for their theory (2011, p. 13, emp. added). Once again, speculation and conjecture without supporting evidence rule the day in evolutionary circles and textbooks. All the while, mounds of evidence exist which indicate that new information is not possible through genetic mutation. So neo-Darwinian evolution is not possible. Mutations are, by definition, “errors”—mistakes in the replication of DNA (cf. Ayala, 1978, 239:56-69). There are three possible kinds of mutations: bad, good, and neutral (i.e., those that have no net effect on a species one way or the other)—none of which add new raw material or information to the genome. Evolution hinges on the idea that beneficial mutations must be the trend, since evolution requires a progression in species (and those mutations must simultaneously add new raw material in order to evolve a new species). However, in truth, the scientific evidence indicates that this trend is not the case. Renowned geneticist of Stanford University, Luigi Cavalli-Sforza, head of the International Human Genome Diversity Project, said, “Genetic mutations are spontaneous, chance changes, which are rarely beneficial, and more often have no effect or a deleterious one” (2000, p. 176, emp. added). Prominent evolutionary taxonomist, Ernst Mayr (professor emeritus of Harvard), wrote, “[T]he occurrence of beneficial mutations is rather rare” (2001, p. 98, emp. added). In fact, it has long been realized that, after eliminating the neutral mutations from the discussion, 99% of the remaining mutations are said to be actually harmful—not beneficial (Crow, 1997; Cartwright, 2000, p. 98; Winchester, 1951, p. 228; Martin, 1953, 41:100; Ayala, 1968, 162:1436; Morris, 1984, p. 203; Klotz, 1985, p. 181). This was recognized as long ago as 1950, when Nobel laureate and geneticist, Hermann J. Muller said, “The great majority of mutations, certainly well over 99%, are harmful in some way” (1950, 38:35, emp. added). Famous evolutionary geneticist of Rockefeller University, Theodosius Dobzhansky, admitted that beneficial mutations make up less than 1% of all mutations (as quoted in Davidheiser, 1969, p. 209). Several decades of further research did not help matters. The late evolutionary geneticist of the University of Massachusetts in Amherst Lynn Margulis, and her co-author, science writer Dorion Sagan, referenced Muller’s historic work, emphasizing that “as was pointed out very early by Hermann J. Muller (1890-1967), the Nobel prizewinner who showed X-rays to be mutagenic in fruit flies, 99.9 percent of the mutations are [still—JM] deleterious. Even professional evolutionary biologists are hard put to find mutations, experimentally induced or spontaneous, that lead in a positive way to evolutionary change” (2002, pp. 11-12, emp. added). According to theoretical evolutionary geneticist Philip Gerrish of the University of New Mexico and Richard Lenski, experimental evolutionary biologist of Michigan State University, it seems that the best estimates for beneficial mutations are now “roughly one in a million” (1998, 102/103:132). That’s one ten-thousandth of one percent. Thomas Bataillon, evolutionary biologist of Aarhus University’s Bioinformatics Research Centre, and Santiago Elena, molecular and evolutionary geneticist of the Institute of Molecular and Cellular Plant Biology in Spain, argue that the rate of beneficial mutations is so low that it cannot even be measured (Bataillon, 2000; Elena, et al., 1998). Behe even argues, based on a thorough examination of relevant evolutionary experiments over the last few decades, that those mutations which are considered to be “beneficial” for an organism still typically involved a loss of function (i.e., a loss of genetic information)—not a gain. In the summary of his 2010 article in the Quarterly Review of Biology, he says, “The results of decades of experi-mental [sic] laboratory evolution studies strongly suggest that, at the molecular level, loss-of-FCT [i.e., loss of function—JM] and diminishing modification-of-function adaptive mutations predominate” (2010, p. 441). In truth, this circumstance should be expected, since mutations are, by definition, deviations from what would have occurred in the replication of DNA, if everything worked in the way that it should. So mutations do not provide the progressive, beneficial trend required by evolution, but rather, reveal a digressive trend. Mutations, by and large, are deleterious, not beneficial to the genome. That is what the scientific evidence indicates—an avalanche of harmful mutations sweeping all species on the planet down the slope of deterioration, decay, and digression. This trend is in keeping with the Second Law of Thermodynamics—entropy is inevitable (see Sanford, 2008 for a decisive treatise on the truth of genetic entropy). The genome will inevitably deteriorate, not evolve. This trend is also supported by information theory (Gitt, 2007). “Error catastrophe” is the term used to describe what happens when natural selection cannot adequately counter the loss of information that occurs due to deleterious mutations—a situation we are currently facing. During the final phase of degeneration, “mutational meltdown” occurs (Bernardes, 1996)—the “rapid collapse of the population and sudden extinction” of the species (Sanford, p. 220). Kevin Higgins and Michael Lynch, evolutionary biologists of Indiana University and the University of Oregon, respectively, argue that extinction is currently a significant risk for many mammals and other animals because of the existing state of deterioration in the genome due to mutations. “Under synchronous environmental fluctuations, the acceleration of extinction caused by mutation accumulation is striking…. [F]or a large globally dispersing metapopulation with mutation accumulation, the extinction time is just slightly longer than 100 generations” (2001, p. 2932). There is no doubt that genetic entropy is the trend, not genetic organization. If the genome must degenerate, then the Primary Axiom is wrong. It is not just implausible. It is not just unlikely. It is absolutely dead wrong. It is not just a false axiom. It is an unsupported and discredited hypothesis, and can be confidently rejected. Mutation/selection cannot stop the loss of genomic information, let alone create the genome! Why is this? It is because selection occurs on the level of the whole organism. It cannot stop the loss of information (which is immeasurably complex) due to mutation, and is happening on the molecular level. It is like trying to fix a computer with a hammer (p. 147, italics and emp. in orig.). Due to entropy, the genetic trend is downward. But evolution demands an upward trend—not good for Darwinian evolution. Notice again, however, that while deterioration destroys evolutionary theory, the trend towards deterioration is in keeping with the Creation model, which argues that the genome was originally pristine in the Garden before sin entered the world, initiating the decay process (Romans 5:12; Psalm 102:25-27). The natural trend all around us is clearly that living creatures are being swept down the proverbial mountainside in an avalanche of entropy. Yet evolutionary theory irrationally postulates that the trend for the mindless, accidental evolution of species has actually been up the mountain-side against an oppressive wall of tumbling snow. No wonder, like Gould and Hayward, Margulis and Sagan strongly expressed their disagreement with the idea that genetic mutations could be the mechanism for evolution, as neo-Darwinism contends. They said, “[R]andom mutation, a small part of the evolutionary saga, has been dogmatically overemphasized” (2002, p. 15). “Many ways to induce mutations are known but none lead to new organisms. Mutation accumulation does not lead to new species or even to new organs or new tissues…. We show here that the major source of inherited variation is not random mutation” (pp. 11-12, emp. added). Evolutionist Pierre-Paul Grassé, who was the chair of evolution at the Sorbonne in Paris for over 30 years, said, “No matter how numerous they may be, mutations do not produce any kind of evolution” (1977, p. 103, emp. added). Nobel laureate, Sir Ernst Chain, who is credited with having purified penicillin in such a way that it could be used as an antibiotic, said years ago, “To postulate…that the development and survival of the fittest is entirely a consequence of chance mutations…seems to me a hypothesis based on no evidence and irreconcilable with the facts” (1970, p. 25, emp. added). As we have seen, such profound statements are still relevant today. There are various theories on the origin of life. They all run aground on this most central of all central questions: “How did the Genetic Code, along with the mechanisms for its translation (ribosomes and RNA molecules) originate?” For the moment, we will have to content ourselves with a sense of wonder and awe rather than with an answer (1980, p. 548, emp. added). Writing in Nature, evolutionist John Maddox said, “[I]t is disappointing that the origin of the genetic code is still as obscure as the origin of life itself” (1994, 367:111, emp. added). The unfortunate truth is that so many, both theists and atheists alike, have been steamrolled into believing Darwinian religion by the naturalist crowd. Evolution has been foisted upon the minds of children and touted as scientific fact for decades, when all the while, upon closer examination of the evidence, evolution is found to be baseless in its attempt to explain the origin of species. All along, an explanation for the origin of the kinds of creatures we see on Earth has been available that does not contradict the scientific evidence. In the words of famous atheist, theoretical physicist, and cosmologist of Cambridge University, Stephen Hawking, “[T]he Universe is a machine governed by principles or laws—laws that can be understood by the human mind.... But what’s really important is that these physical laws, as well as being unchangeable, are universal. They apply not just to the flight of the ball, but to the motion of a planet and everything else in the Universe” (“Curiosity…,” 2011, emp. added). As with everything else in the law-abiding Universe, reproduction behaves in accordance with governing laws. Life produces according to its kind. The Bible, which articulates the Creation model in simple terms, stated long ago a truth that has stood the test of time and continues to be verified by modern science. God made living creatures and then established the ordinances which would govern their reproduction. The phrase “according to its kind” is used repeatedly (Genesis 1:11,12,21,24,25), highlighting the fact that God created distinct creatures from the beginning. They did not evolve from previous kinds of creatures, and such passages further allude to the existence of barriers that God established between various forms of life—distinctions which evolutionary theory seeks to dissolve. God personally created life (i.e., “living creatures/things”—Genesis 1:21,24-25; 2:7) and further instituted the Law of Biogenesis by telling the natural realm (i.e., “Earth”) how life was to be multiplied: “bring forth the living creature according to its kind” (Genesis 1:24). [NOTE: The word “kind” was written in Genesis long before the modern taxonomic categories developed. While there may be no direct equivalent to the present taxonomic system, the “family” of a creature may be the best parallel in most cases (cf. Wood and Murray, 2003).] That general rule is precisely what we see occurring in nature. Indeed, “whatever a man sows, that he will also reap” (Galatians 6:7)—Paul’s articulation of a Universal law of nature. In the words of Jesus, “For every tree is known by its own fruit. For men do not gather figs from thorns, nor do they gather grapes from a bramble bush” (Luke 6:44). That simple concept has profound implications and denies the theory of evolution, which requires inter-kind leaps—evolution across phylogenic boundaries—prohibited by the evidence from genetics. The Creation model, however, passes the genetics test with flying colors. Ayala, Francisco (1968), “Genotype, Environment, and Population Numbers,” Science, 162:1436. Ayala, Francisco (1978), “The Mechanisms of Evolution,” Scientific American, 239:56-59, September. Bataillon, T. (2000), “Estimation of Spontaneous Genome-wide Mutation Rate Parameters: Whither Beneficial Mutations?” Heredity, 84:497-501. Behe, Michael (2007), The Edge of Evolution (New York: Free Press). Behe, M.J. (2010), “Experimental Evolution, Loss-of-Function Mutations, and ‘The First Rule of Adaptive Evolution,’” The Quarterly Review of Biology, 85:419-445. Bernardes, A.T. (1996), “Mutation Load and the Extinction of Large Populations,” Physica ACTA, 230:156-173. Cartwright, John (2000), Evolution and Human Behavior (London: Macmillan). Cavalli-Sforza, Luigi Luca (2000), Genes, Peoples, and Languages (New York: North Point Press). Chain, Ernst (1970), Social Responsibility and the Scientist in Modern Western Society (London: Council of Christians and Jews). Crow, J.F. (1997), “The High Spontaneous Mutation Rate: Is it a Health Risk?” Proceedings of the National Academy of Sciences, U.S.A., 94:8380-8386. “Curiosity: Did God Create the Universe?” (2011), Discovery Channel, August 7. Darwin, Charles (1859), On the Origin of Species By Means of Natural Selection, or the Preservation of Favoured Races in the Struggle for Life (London: John Murray). Davidheiser, Bolton (1969), Evolution and Christian Faith (Nutley, NJ: Presbyterian & Reformed). Ducoff, Howard (2007), “University of Illinois Biophysics: The First Half-Century,” Center for Biophysics and Computational Biology: University of Illinois at Urbana-Champaign, http://biophysics.illinois.edu/program/history.html. Elena, S.F., L. Ekunwe, N. Hajela, S.A. Oden, and R.E. Lenski (1998), “Distribution of Fitness Effects Caused by Random Insertion Mutations in Escherichia Coli,” Genetica, 102-103[1-6]:349-358. Gerrish, Philip J. and Richard E. Lenski (1998), “The Fate of Competing Beneficial Mutations in an Asexual Population,” Genetica, 102/103:127-144. Gitt, Werner (2007), In the Beginning was Information (Green Forest, AR: Master Books), Kindle file. Grassé, Pierre-Paul (1977), The Evolution of Living Organisms (New York: Academic Press). Higgins, Kevin and Michael Lynch (2001), “Metapopulation Extinction Caused by Mutation Accumulation,” Proceedings of the National Academy of Sciences, 98:2928-2933. Hofstadter, Douglas R. (1980), Godel, Escher, Bach: An Eternal Golden Braid (New York: Vintage Books). Houts, Michael G. (2007), “Evolution is Religion—Not Science [Part I],” Reason & Revelation, 27:81-87, November, http://apologeticspress.org/pub_rar/27_11/0711.pdf. Klotz, John (1985), Studies in Creation (St. Louis, MO: Concordia). Maddox, John (1994), “The Genesis Code by Numbers,” Nature, 367:111, January 13. Margulis, Lynn and Dorion Sagan (2002), Acquiring Genomes: A Theory of the Origins of Species (New York: Basic Books). Martin, C.P. (1953), “A Non-Geneticist Looks at Evolution,” American Scientist,41:100-106, January. Mayr, Ernst (2001), What Evolution Is (New York: Basic Books). Meyer, Stephen C. (2004), “Intelligent Design: The Origin of Biological Information and the Higher Taxonomic Categories,” Proceedings of the Biological Society of Washington, 117:213-239, http://www.discovery.org/a/2177. Meyer, Stephen C. (2009), Signature in the Cell (New York: Harper Collins), Kindle file. Miller, Jeff (2013), "Unlike Naturalists, You Creationists Have a Blind Faith," Reason & Revelation, 33:76-83, http://apologeticspress.org/apPubPage.aspx?pub=1&issue=1125&article=2164. Morris, Henry M. (1984), The Biblical Basis for Modern Science (Grand Rapids, MI: Baker). Muller, Hermann J. (1950), “Radiation Damage to the Genetic Material,” American Scientist, 38:33-50,126, January. Quastler, Henry (1964), The Emergence of Biological Organization (New Haven, CT: Yale University). Sanford, J.C. (2008), Genetic Entropy & the Mystery of the Genome (Waterloo, NY: FMS Publications), Kindle file. Wells, Jonathan (2011), The Myth of Junk DNA (Seattle, WA: Discovery Institute Press). Wiener, Norbert (1965), Cybernetics: Or Control and Communication in the Animal and the Machine (Cambridge, MA: M.I.T.). Winchester, A.M. (1951), Genetics (Boston, MA: Houghton-Mifflin).